One last Easter post and then I will officially retire this holiday until next year. But it just wouldn’t feel right if I didn’t commemorate the day with it’s own set of @averageparentproblems. Between the egg hunts (with toddlers and big kids often competing over the same set of eggs), the chocolate (which is likely to melt if it doesn’t give your kid a stomach ache first), the egg dying (that stuff stains, you know!) and the mandatory matching attire (I am always super impressed with parents who pull this off), there are are more than a few things that can go wrong for parents on Easter Sunday. Especially if you are an average parent like me. 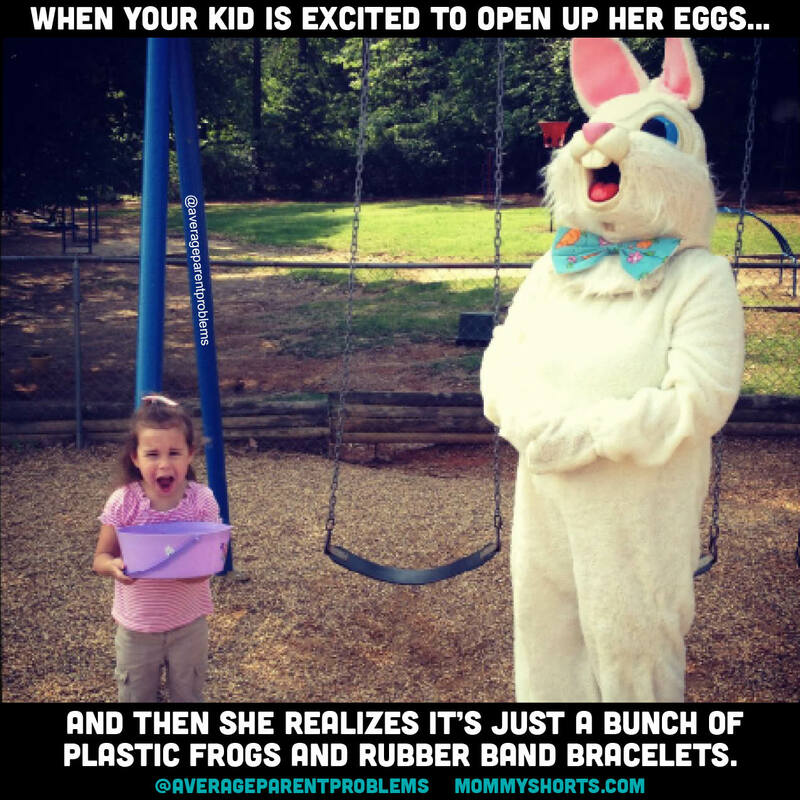 If you have any more easter problems, post them to #averageeasterproblems and be sure to tag @averageparentproblems on Instagram. If you didn’t take a photo, please share what happened in the comments below!